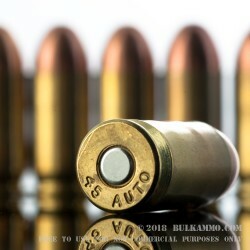 Military Ballistics Industries is a growing remanufacturer of ammunition that has institutionalized the act of reloading to try to help consumers save money and get quality ammo. 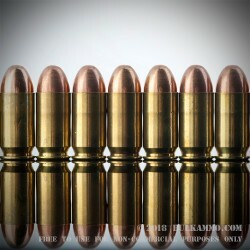 The company, founded on the back of a high-volume shooter who wanted to lower his own cost basis, has really found a home in the remanufacturing niche in the market, now being recognized as one of the premium providers of “reman” ammo in the United States. A large part of the reason they have enjoyed such great success is that they refuse to compromise on the components that they offer in their remanufacturing effort. They insist on using components from leading companies rather than capitulate to market pressures to downgrade for a cheaper overall cost of production. That means they pay hefty premiums to use components from the likes of Hodgdon, Winchester, CCI, Federal and others. 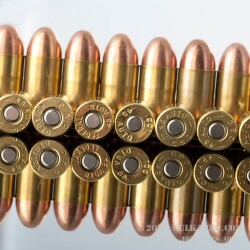 This also means that they must price their remanufactured ammunition at or near the same price that most imported cheap ammunition is priced at. They still manage to grow extremely well year after year. 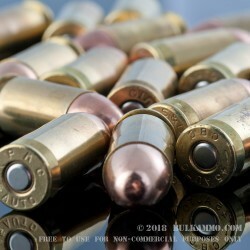 The point is that MBI’s commitment to the quality production ammunition is being well received by the consumer as they pull the trigger and their ammunition fires, accurately and reliably. 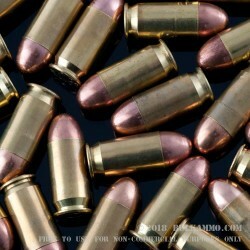 This is MBI’s 185 grain remanufactured round for the .45 ACP that is produced using premium component parts. It is a 1000 round case lot. It’s cheap. It’s reliable. It’s a smart purchase for training. Not much of a value but this stuff ran through my 21SF, 30SF and 36 perfectly. Probably better off spending an extra few cents for factory ammo, since it is backed for QC. A: MBI's standard 45 ACP 185 gr ammo utilizes LP primers/primer pockets. Thanks!